The motion controller has saved time and money in ongoing efforts to build better, safer surgical tools. Lightsabers and terrifying breasts are entertaining and all, but a group of grad students at the University of Washington had a slightly loftier goal in mind for their Kinect hack. The group is using Kinect to help make robot-assisted surgery safer, by giving surgeons tactile feedback they would otherwise lack. In robotic surgery, the surgeon uses remote controlled surgical instruments that are inserted into the patient via a tube. The surgeon uses a joystick-like controller to move and operate the instruments, but it can be very difficult to know exactly what's going on. If the instruments hit something solid, like a bone, they will stop moving, but the controller won't. In order to get around this problem, the students used Kinect to build a map of the inside of a patient's body, by measuring reflected infrared radiation. This gives the surgeon a much better idea of where he or she is inside the patient's body, and can prevent the robot from moving in certain directions if doing so would be dangerous. It would even be possible to designate certain areas as out of bounds, and protect vital organs from injury. 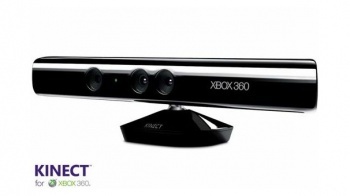 Student Fredrik Ryden, who wrote the code to make the project work in just a weekend, said that Kinect was an ideal choice, because it was accessible, low-cost, and Microsoft had already done the work of designing and building it. By using the motion controller for the prototype, instead of the CT scanner that the original plan called for, the University saved around $50,000 in development costs. This is just the first step, of course. Kinect is a fine as a prototype, but it's much too big to be used for a real surgical robot, and the cameras aren't of a high enough resolution. Eventually, the team hopes to make the robots reliable enough to one day perform surgery remotely. Electrical engineering professor Howard Chizeck envisioned a future where the robots would allow victims of natural disasters to receive life-saving surgery on-site, instead of having to wait until they reached a hospital.